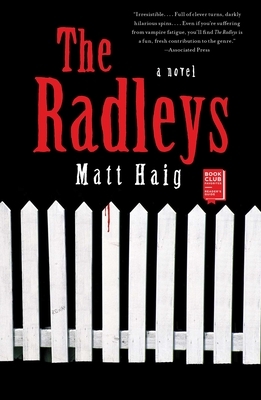 This Alex Award-winning novel is "irresistible...full of clever turns, darkly hilarious spins...Even if you're suffering from vampire fatigue...The Radleys is a fun, fresh contribution to the genre" (Associated Press). One night, Clara finds herself driven to commit a shocking—and disturbingly satisfying—act of violence, and her parents are forced to explain their history of shadows and lies. A police investigation is launched that uncovers a richness of vampire history heretofore unknown to the general public. And when the malevolent and alluring Uncle Will, a practicing vampire, arrives to throw the police off Clara’s trail, he winds up throwing the whole house into temptation and turmoil and unleashing a host of dark secrets that threaten the Radleys’ marriage. Matt Haig is the bestselling author of several children’s books and novels, including The Radleys, winner of the ALA Alex Award. An alumnus of Hull University and Leeds, his work has been translated into twenty-nine languages. He lives in York with his wife, UK novelist Andrea Semple, and their two children.